This is a fantastic full starter set for using natural resin incense the traditional way as used in rituals and ceremonies by all kinds of religions, crafts, wicca and magick. It is also the traditional method used for meditation and spiritual mediumship focus and development as well as smudging and purifying ceremonies. 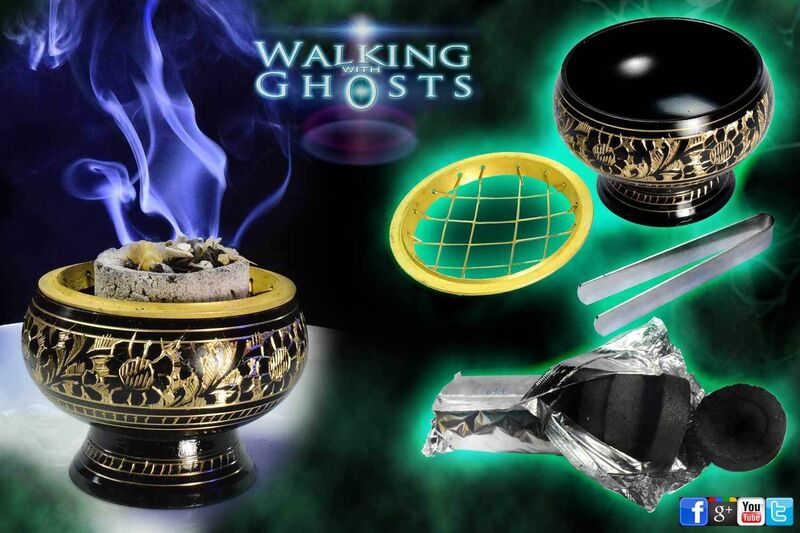 The set includes 1x solid brass incense burning bowl in black & Gold with removable wire basket top, a pack of 10x easy light Charcoal discs, I pair of tongs for handling the Charcoal and 4x bags (each 20g) of Incense resins in Myrrh, Frankincense, Benzoin & Damaru Pattu. Always start by placing the incense burner bowl on a heat proof plate, a side dish, dinner plate or thick tile will work just fine. Turn the wire basket top so that it is bowl shaped way up (Concave) as this ensures a safe secure grip for the charcoal. Now using the tongs hold a charcoal disk firmly above the bowl and hold a lit match or lighter to it slowly moving it around the perimeter of the charcoal. You should see little sparks glittering across the surface of the coal. Now place the coal in the centre of the bowl basket with the slightly hollowed out side up. After about 5 mins the coal will begin to ash over a little on the surface, it is now time to place a few grains or pinch of the resin incense directly onto the charcoal. It will melt to a thick liquid and produce it's stunning fragrant smoke. Start with a little until you get used to how much smoke it creates for your space. The same technique can also be used with herbs, seeds and leaves like loose white sage for purification rituals. The coal will stay hot for up to an hour, it should be left in a safe place to go cold before putting the ashes in the bin. The first recorded use of incense was by the Egyptians during the Fifth Dynasty, 2345-2494 BC. Incense use in religious ritual was possibly also simultaneously developed in China, and eventually transmitted to Korea, Japan, Vietnam, the Philippines and onward threat the globe. The formula and scent of incense used in temples, shrines, Churches, rituals and ceremonies throughout the world vary widely. However, the principle purpose seems to remain as method of purifying the surroundings & enabling us to connect more closely to gods, after life, demons, & many other spiritual connections. 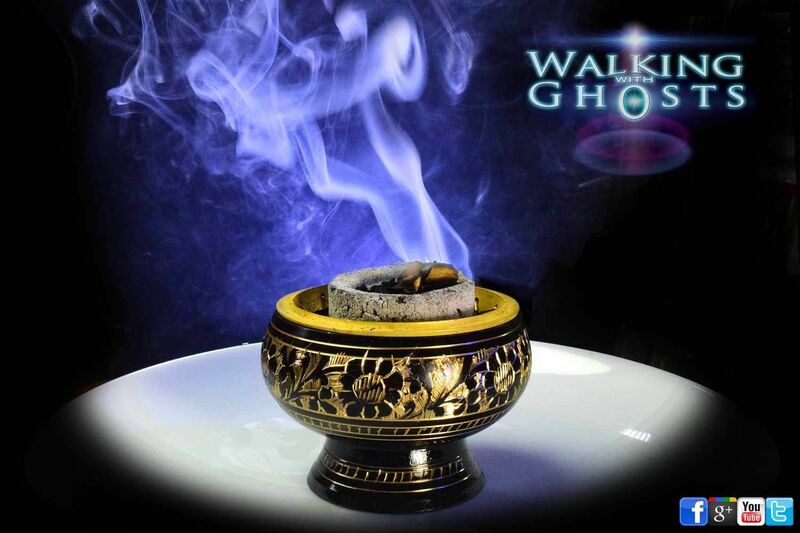 Burning incense is an ancient natural art, used in ceremonies for thousands of years. Smells have a huge, if often subconscious effect on the psyche and natural incense smoke is no exception. Incense has been used at some point in almost every spiritual practice, from all the biggest established religions to the hippie movement and many individual and spiritual groups including witchcraft of all forms. 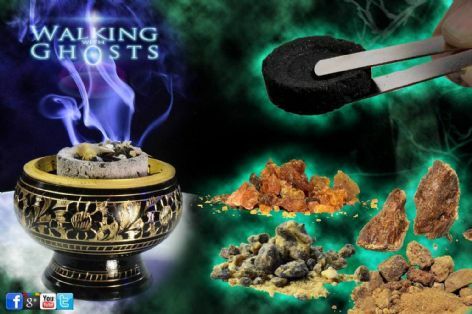 Possibly the oldest form of incense dating back many thousands of years.This Highly aromatic and evocative fragrance is ideal for all kinds of cleansing rituals, meditation and ceromony use, it comes as a mixture of granules rock and powder and is easily broken down to size between the fingers for use. 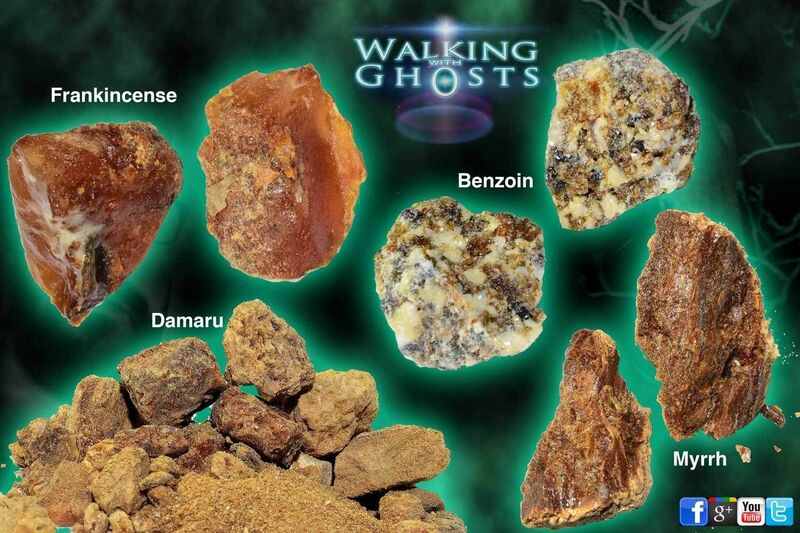 In spite of its rather dull stone like appearance Benzoin is one of the most widely used resins for incense and perfumery. It has a wonderful mellow warm scent like buttered vanilla or honey, it delivers a slow release of gently uplifting aromas. It is very often used in combination with other resins or oils to form blends of fragrance. It is a vital component of incense blends used in many places of worship across the globe including both Catholic and far eastern religions.This resin is also known as gum Benjamin. Myrrh has a distinct ancient aroma, known world wide as one of the three gifts from the wise men given to baby Jesus in the christian religion. Of course many other cultures have been using it for around 5,000 years, and it is still a staple of ceremonies world wide today. It is one of the most valued and recognised of all incense resins, it is believed to assist physical healing and promote feelings of happiness, strength and confidence as well as aid sleep. The aroma is Smoky, earthy & spicy, it has a complex blend of aromas that seem to change and develop constantly. 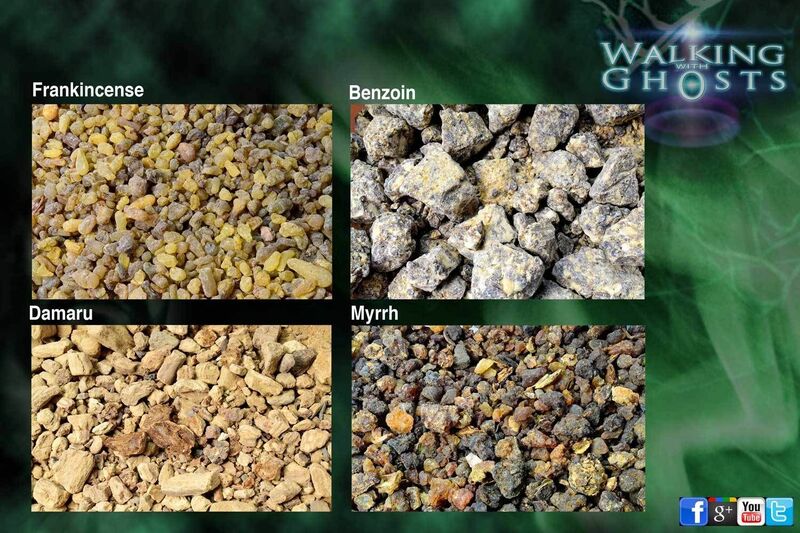 It is often added to Frankincense to form a traditional church blend promoting peace, joy and happiness. Charcoal incense burning involves a small hot coal, a very, very hot coal! This is like a little mini BBQ so it must always be on a heat proof plate or surface like a tile. It must also be level secure and away from children and animals. Like any naked flame it should never be left unattended at any time. We would suggest having a glass of water to one side just in case! Ive never had to use it, but Its always better to be safe than sorry, if you did have to put the coal out at any point in a hurry water can be slowly poured over it. It's a lot less messy to simply let it burn out in its own time, but if you need to it can be drowned very quickly. Under normal circumstances you can simply place the bowl and plate in the sink to cool off for piece of mind.